When creating websites or applications, Python-based Django is an ideal framework to assist in clean scaffolding architecture. With the rise in popularity of client side MVC frameworks, such as Angular.js, Ember.js and Backbone.js, it can be a difficult decision to make when selecting whether Django is the right fit for your project. Questions like, "How can we integrate these client side MVC frameworks into our current Django infrastructure?” and "Where does Django fit into all of this?” frequently come up when making these decisions. 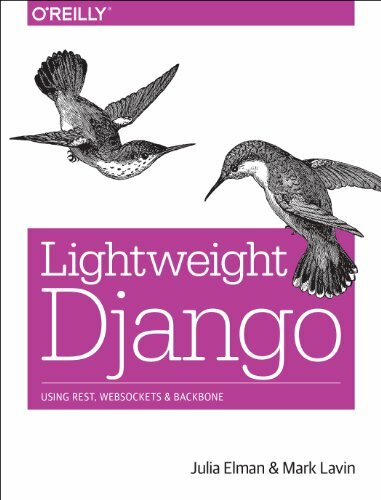 Lightweight Django serves as a guide for intermediate Django users to hone their skills in leveraging it’s efficiency and utilities. Authors Julia Elman and Mark Lavin walk you through several projects, demonstrating how to create everything from creating Flask-like micro applications to building RESTful API’s architecture for a large scale project.